During his studies under Paul Kuen and Raimund Grumbach, German baritone Christian Gerhaher attended the Opera School of the Academy of Music in Munich and, together with his regular piano partner Gerold Huber, studied lied interpretation with Friedemann Berger. While completing his medical studies Christian Gerhaher perfected his vocal training in master-classes given by Dietrich Fischer-Dieskau, Elisabeth Schwarzkopf and Inge Borkh. At present Christian Gerhaher himself teaches in select master-classes and is an honorary professor at the Academy of Music in Munich. He holds the Bavarian Maximilian Order for Science and Art. Christian Gerhaher’s exemplary lied interpretations with Gerold Huber set standards – their recordings have repeatedly won prizes. The last lied CD release Nachtviolen has won the Gramophone Classical Music Award 2015 in the category “Solo Vocal”. The lied duo can be heard on the stages of major international recital centres, for instance at the Wigmore Hall in London, in the concert halls of New York, the Concertgebouw Amsterdam, the Cologne and Berlin Philharmonie, the Konzerthaus and the Musikverein in Vienna. Christian Gerhaher is a regular guest at festivals such as the Schwetzingen Festival, the Rheingau Music Festival, the London Proms, the Edinburgh and Lucerne Festivals as well as the Salzburg Festival. In the season 2015⁄2016, as artist in residence at the Wigmore Hall in London, Christian Gerhaher can be heard singing four different lied recital programmes and he will also hold a workshop on settings from Wilhelm Meister. This residency is at the centre of a period that can certainly be described as a ‘London Season’. Audiences in the British capital can hear the German baritone in the entire range of his repertoire: in concert performances as Wozzeck (on tour with Zurich Opera) and as Pelléas (with the London Symphony Orchestra conducted by Sir Simon Rattle); in a performance of Robert Schumann’s Scenes from Goethe’s Faust – a work so dear to Christian Gerhaher’s heart – again with the London Symphony Orchestra, this time conducted by Daniel Harding, and finally as Wolfram in the revival of Wagner’s Tannhäuser at the Royal Opera House Covent Garden. Besides his principle activity giving concerts and recitals, Christian Gerhaher is also a highly sought-after performer on the opera stage and has received several prizes such as the Laurence Olivier Award and the theatre prize known as Der Faust. Under Riccardo Muti he sang Papageno in a production of The Magic Flute at the Salzburg Festival (issued by Decca as a DVD). Gerhaher gave guest performances in the title role in Henze’s Prinz von Homburg at the Theater an der Wien. Roles such as Mozart’s Don Giovanni, in Frankfurt (2014) – where he has already sung Orfeo, Wolfram, Eisenstein and Pelléas – Posa in Don Carlo in Toulouse, or as Olivier in concert performances of Capriccio at the Royal Opera House Covent Garden testify to Gerhaher’s broad repertoire. Wolfram was and remains a constant role in his calendar in the opera houses in Berlin, Madrid, Vienna, London and Munich. 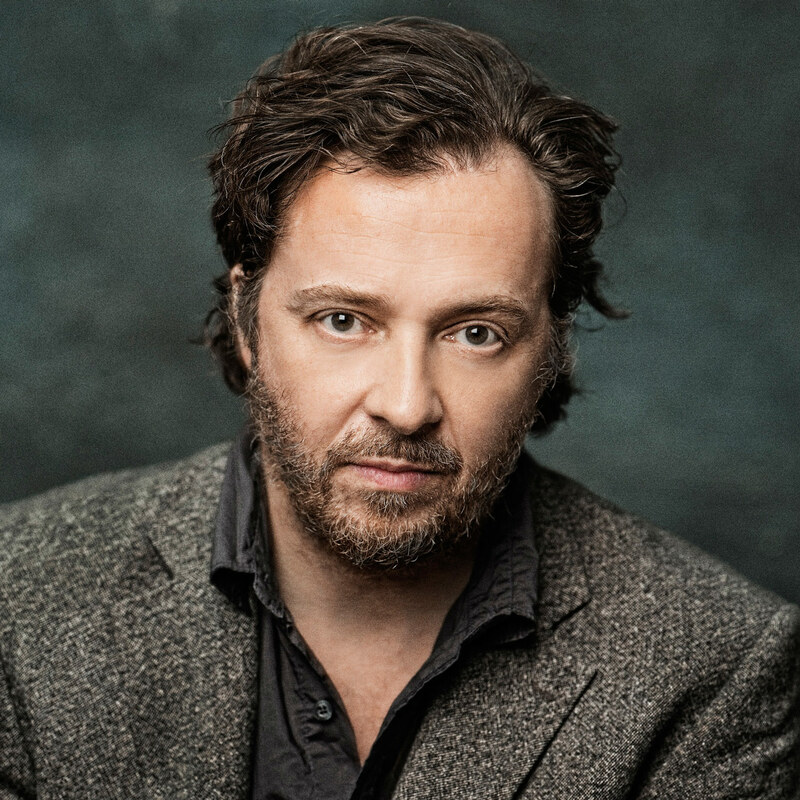 Christian Gerhaher begins the new season in September 2015 with his eagerly awaited debut as Wozzeck at Zurich Opera House in the staging by Andreas Homoki and conducted by Fabio Luisi. Christian Gerhaher can be heard twice as Pelléas, with the Berlin Philharmonic in a production directed by Peter Sellars, and in a concert performance with the London Symphony Orchestra – in both cases conducted by Sir Simon Rattle. Christian Gerhaher performs together with conductors such as Nikolaus Harnoncourt, Simon Rattle, Herbert Blomstedt, Kent Nagano, Mariss Jansons, Daniel Harding, Bernard Haitink and Christian Thielemann in the world’s major concert halls. Gerhaher’s intensive preoccupation with the music of Gustav Mahler brought him together with Riccardo Chailly, Gustavo Dudamel and Pierre Boulez (Wunderhornlieder with the Cleveland Symphony Orchestra, also on CD, issued by DG). Major orchestras which regularly invite Christian Gerhaher to perform include the London Symphony Orchestra as well as the Vienna Philharmonic and the Berlin Philharmonic, where in the season 13⁄14 he was the first ever singer to be artist in residence. He also gives concerts with major orchestras outside Europe, for instance with the NHK Symphony Orchestra, the Boston Symphony Orchestra and the Chicago Symphony Orchestra, as well as the San Francisco Symphony Orchestra. Christian Gerhaher has very close ties with the Bavarian Radio Symphony Orchestra, a partnership audiences were able to enjoy in the 2012⁄2013 season during his residency with the orchestra. Together with this outstanding ensemble, conducted by Daniel Harding, Christian Gerhaher recorded his first album of arias devoted to opera in the German Romantic era and for which he received the International Opera Award 2013. At the beginning of the 2015⁄2016 season Christian Gerhaher’s second opera recital will be issued on CD: Mozart Arias accompanied by the Freiburg Baroque Orchestra which they will present together during two tours and can be heard for instance in Barcelona, Stockholm, Cologne, Vienna, New York and elsewhere. Christian Gerhaher can also be heard in concerts with the Tonhalle Orchestra Zurich conducted by Bernard Haitink, with the Munich State Orchestra under Kirill Petrenko, and again with the Bavarian Radio Symphony Orchestra conducted by Heinz Holliger. Christian Gerhaher’s CDs are issued by Sony Music, with which he has an exclusive partnership. Accompanied by Gerold Huber, Schumann cycles, all the Schubert cycles, as well as many other lied recordings have been issued. Furthermore, Christian Gerhaher can be heard on CDs with orchestras such as the Berlin Philharmonic, the Cleveland Orchestra, the Bavarian Radio Symphony Orchestra and the Concentus Musicus Wien in works by Bach, Haydn, Mendelssohn, Humperdinck, Orff and Mahler, whereby this list is far from complete. Of primary importance to Christian Gerhaher is the music of Robert Schumann – both DasParadies und die Peri and in particular his interpretation of Scenes from Goethe’s Faust were recorded live and are available on CDs issued by Sony, RCO live, and also on the BR Klassik Label.